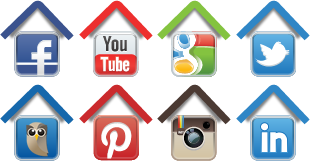 Realtors are some of the most active professionals on social media. But are they doing it right? Jay Pring, managing director of Obviam – Creative Social Media has 10 top tips to help agents with their digital and social media activity. If re-posting something interesting, add your own opinion or question; that way people can interact with you and spark discussion. You might love your recent successes, but most social media audiences won’t care. Add context to your success stories to ensure you have meaning and relevance to your posts. No one wants to read the same message from you on Twitter, Facebook, Instagram, LinkedIn, etc. It shows a lack of creativity and fails to consider the unique benefits of the various platforms you employ. If you’re well informed about a topic, that doesn’t give you the right to act as an authority figure on it in your posts. Don’t talk down to your fans. This could come off as intimidating or unappealing. Who wants a bland brand? Spice up your posts with some gentle, thought provoking humour. But avoid sexism, racism or religion so as not to offend. Brands have burned and suffered by using a tragedy to promote themselves. It’s not only incredibly disrespectful, but it shines a terrible light on your brand and your personality. No apology can fix this type of disaster.